Twin screw superchargers, much like roots type, generate torque off the line, but tend to be a little less than the roots type. 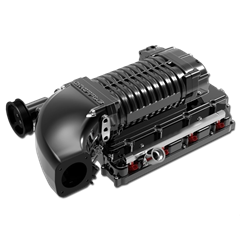 However, the twin screw superchargers offer more on the higher RPM range which might be ideal for some enthusiasts. Its all about what you are looking to get out of your HEMI powered pride and joy, and we are here to help you make the right decision where forced induction is concerned. Give us a call.